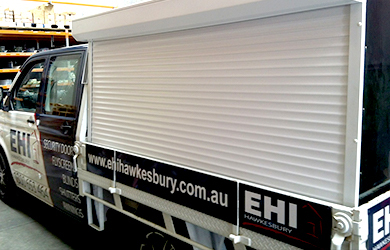 Factory Direct Manufacturer & installer of Roller Shutters Adelaide. We also have a roller shutter repairs division & do motor conversions. We sell and install roller shutters To the public everyday but We also can offer a supply only on any of products to you directly for Do it yourself DIY or for roller shutter repairs, whether your a home owner, home builder, handyman or a wholesaler. 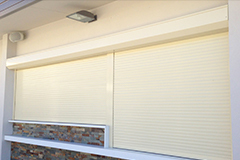 Classic Roller Shutters are a factory direct business for roller shutters Adelaide and have been around for 30 years as a local manufacturer of roller shutters to the public and wholesale. Within this time we have become specialist’s within the industry and offer a large range of window treatments both indoor and out, we are flexible to meet all your needs and offer a large range of options for all our products including roller shutters for residential and commercial applications and not forgetting a large range of both other outdoor blinds including Ziptrak, Cafe Blinds and Awnings but also a beautiful range of indoor blinds as well. We offer a factory direct manufacturing service for roller shutters and blinds, That you will be confident and proud to install on your own home or your clients homes just as we are. We also repair any brand of roller shutters for the windows no matter the age or brand, we stock it all and can fix it all. Easy for real estate agents maintenance and insurance companies to and deal factory direct manufacturer of roller shutters. We also clean Roller Shutters, Outdoor Blinds, Indoor Blinds & windows. We can also fit roller shutters to vehicle’s. Trucks not a problem with roller shutters. Roller Shutters for servery & Bar areas. Security – 55% of break ins are through unprotected windows. 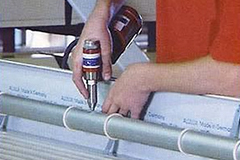 The shutters unique operation offers a deter-ant against intrusion. Insulation – A CSIRO appraisal has been completed on the shutters estimating the shutters show proven energy reductions. This offers potential savings on heating and cooling energy consumption as well as noise reduction. Light control – Great for shift workers and babies, shutters can offer control of the light entering the room. 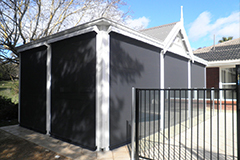 Storm and fire protection – shutters offer a physical barrier against rain, wind and debris. In a fire situation the heat from the flame can shatter glass but shutters give you a barrier against debris, flame and ash. 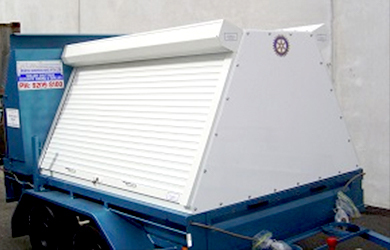 We also have specially designed Bushfire safe roller shutters if you live in that zone. We also supply commercial and Industrial Grades of roller shutters, and easy view shutters too see our factory direct roller shutter page. We offer builders packs for the architect, land agent and builder and we also have building packs for the new home build. Interest free terms and Layby available, we now offer Gift registry as well something unique and different for the bride and groom help them furnish their windows. Roller Shutter Repairs, Cleaning & Parts. Ziptrak® Adelaide No ropes, No Zips, No straps, No buckles No worries. They come in a vast range of PVC’s Clear, charcoal, black.. they’re also available in a huge range of shade-cloths, a range to suit every style and taste. Ziptrak® stays in any position without locks using a spring balance system and is able to open and close from both sides. Ziptrak® is also available with remote operated electric motor. They’re ideal to sign write and can be used in a multitude of areas as wind breaks, sun shades and making areas to all weather rooms. We use genuine Ziptrak® components some companies do not! Cafe blinds offer a beautiful clear or tinted PVC as well as all the shade cloth options to. the basic operation provides ropes and pulleys and this option is a great entry level to an entertaining area that’s easy to use and looks stylish. 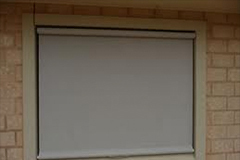 We can send any of our blind range all over Australia so don’t hesitate to call if your looking for cafe blinds or zip tracks and your not in adelaide. We carry a huge range of Indoor Blinds, which you can order online or we are happy to come out with the fabric samples and measure and install for you. 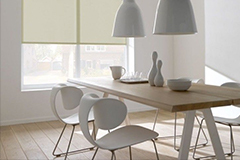 See our indoor blind page for Holland Blinds, Roller Blinds, Verticals, Venetians metal and wooden including ecowood, Roman Blinds & Panel blinds and more in a huge range of colors and materials. 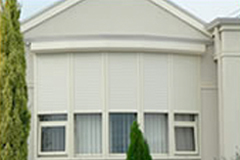 We also offer a large range of out door blinds as seen on our outdoor blinds page. PNP sunshade Auto Awnings, Ziptracks, Cafe blinds, drop shades, straight drop veranda blinds in modern and traditional colors and of course Roller Shutters. the new ziptrak interior blind system provides complete block out. fantastic insulation and sun protection. 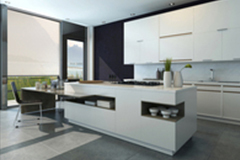 Ziptrak interiors not only look stylish but are really practical as well. Offering privacy, light control and insulation, with ease of use its foremost feature. The blind smoothly glides up and down and holds any position effortlessly. specially designed tracks holds the fabric on both sides tightly to ensure maximum insulation. 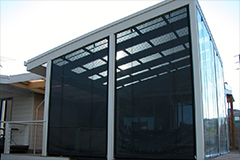 flexibility in the awning range, dependant on your needs and the area to be installed. 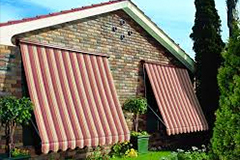 Awnings have come a long way from the traditional classic style awnings of old, which are still available. they also are more functional now allowing for tight access areas to. in a huge range of fashion and old time fabrics to suit any décor.